If you're heading to Iceland, don't forget about the value-added tax (VAT) on goods and services purchased there. If you've kept your receipts, you may be eligible for a VAT refund when you leave the country. Here's how it works and what to do to get a refund. Value added tax is a consumption tax on the sale price paid by the buyer, as well as a tax from value added to a certain good or a material used in the product, from the point of view of the seller. VAT in this sense can be considered a retail sales tax that is collected at various stages instead of burdening the final consumer. It is imposed on all sales, with rare exemptions, to all purchasers. Many countries, including Iceland, use VAT as a way to impose a sales tax on goods and services. One can see how much VAT is paid on the receipt given by the establishment or business in Iceland. How Is VAT Taxed in Iceland? VAT in Iceland is charged at two rates: the standard rate of 24 percent and the reduced rate of 11 percent on certain products. Since 2015, the 24-percent standard rate has been applied for almost all goods, whereas the 11-percent reduced rate is applied to things such as accommodations; books, newspapers, and magazines; and food and alcohol. What Are the Requirements for a VAT Refund? VAT refund can only be given to noncitizens of Iceland who purchased goods in the country. To be eligible for a refund, one must present a passport or document that proves that one is a not a citizen of Iceland. Foreigners who are permanent residents of Iceland are exempt from getting VAT refunds. How Do I Get a VAT Refund as a Noncitizen of Iceland? If a person is deemed eligible for a VAT refund, there are still conditions that need to be met in terms of the goods bought. First, the goods must be taken out of Iceland within three months from the date of purchase. Second, as of 2017, the goods must cost a minimum of ISK 4,000. The price of goods can be a total of several items as long as they are on the same receipt. Last, when leaving Iceland, these goods should be shown at the airport along with the necessary documents. When purchasing something, be sure to ask for a tax-free form from the store that you purchased the goods from, fill it in with the correct details, have the store sign it, and attach the receipt to it. Note that you only have a limited time to apply for a refund, and penalties are charged for late applications. Where Do I Get a VAT Refund in Iceland? You can apply for a refund online. You can also get VAT refunds in person at several refund centers such as in Keflavik Airport, Seydisfjordur Port, Akureyri, and Reykjavik. 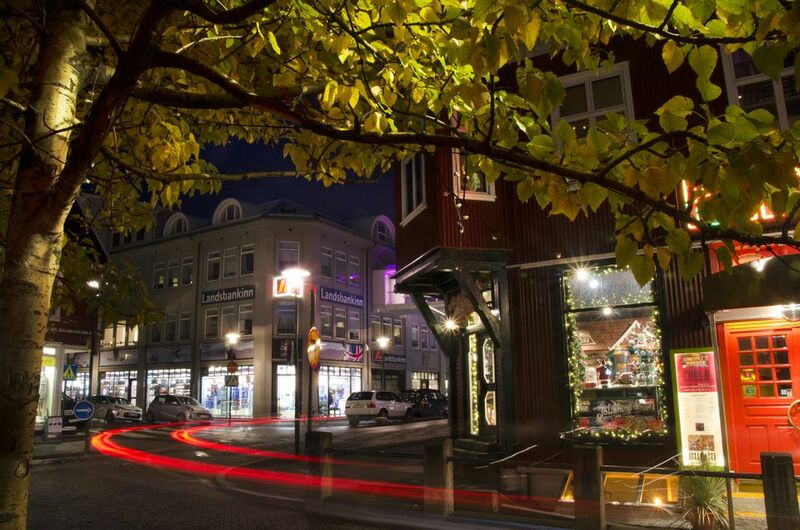 At city refund points such as Akureyri and Reykjavik, the VAT refund can be given in cash. But as a guarantee, one needs to present a MasterCard or a Visa that is valid for a minimum of three months. Another refund option is to present the tax-free form, receipts, and the other requirements at the Keflavik Airport before leaving Iceland. The VAT refund can be received as cash or check or can be credited to a credit card once customs officials validate the goods being exported. Only goods that are more than ISK 5,000 need export-validation.